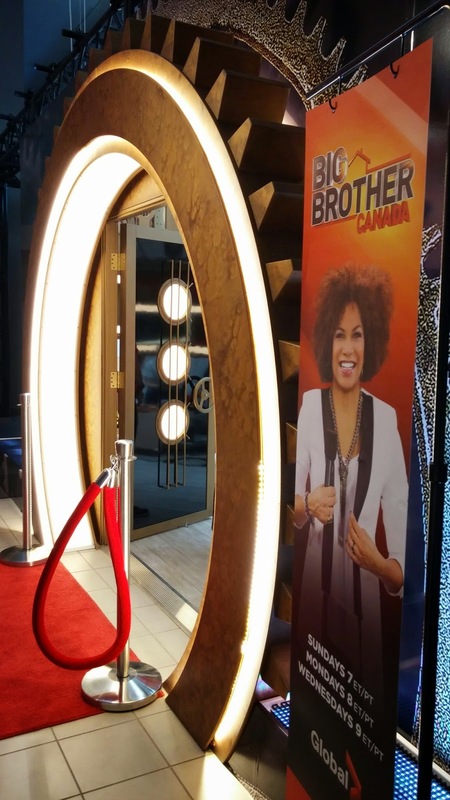 On Sunday, I headed out to the Brick on Yonge and College for a fun Big Brother Canada VIP viewing party. 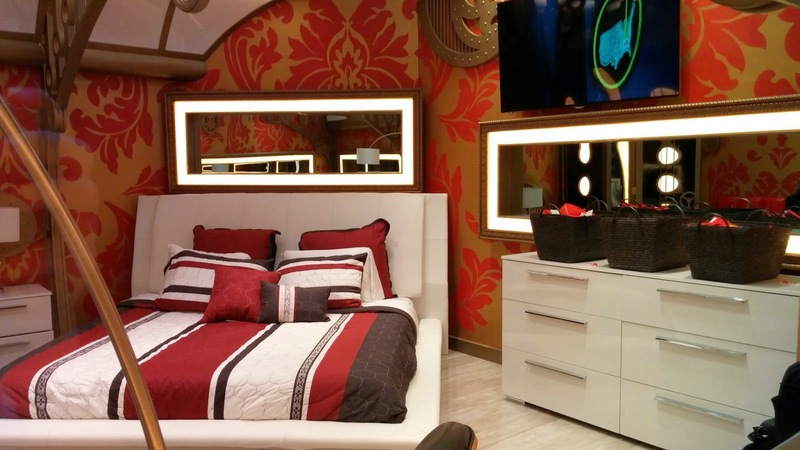 This location is where you will find an exact replica of the HOH room complete with all of the wonderful furnishings provided by the Brick. We even got to go 'behind the scenes' and view the room from behind the two-way mirror, just like on set. It was pretty neat! We enjoyed pizza and snacks while we watched contestants compete in the HOH competition, all from the luxury of a super comfy sofa. Unfortunately it didn't fit in my purse. Looks fun! Thank you for sharing your trip! Look like an interesting tour! Looks like a great time. What a nice tour. Oh, that is soooo cool! and I love your outfit/hat! Very cool, I love BB! Oh that looks so cool! Never been on a set before..thanks for sharing! I haven't heard of that show but it must be really interesting to be on the set and view it. It does look fun. 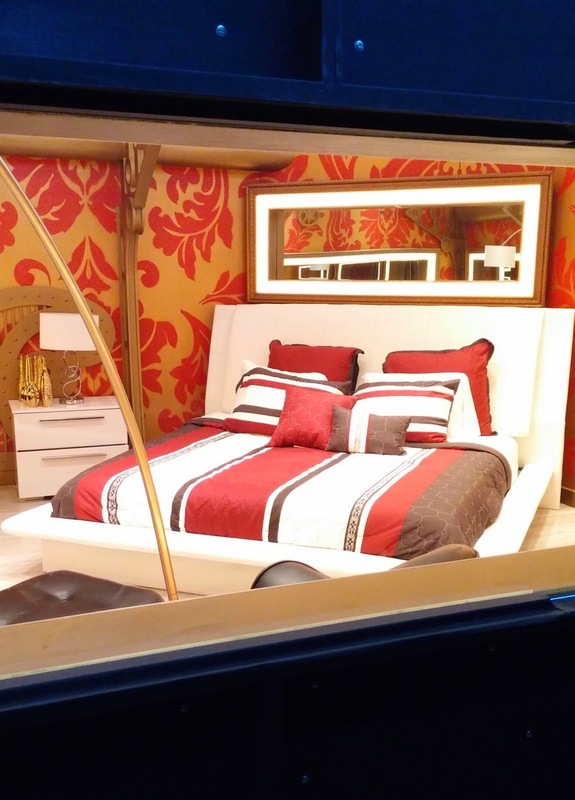 I especially like the idea of the two-way mirror just like on set. Happy Wednesday. That would be a fun thing to do! I LOVE BBCAN! Never miss a episode.I found your blog over at Fresh Mommy Blog. 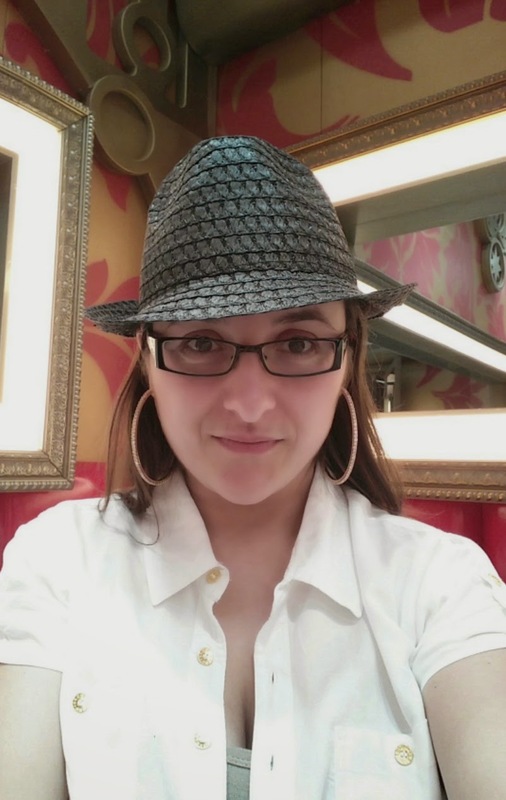 Its always nice to find more Canadian bloggers :) Also I would love it if you joined and contribute your awesome posts at my link party at City of Creative Dreams, starts on Fridays at 9AM eastern time and runs until Wednesday night. :D Hope to see you there at City of Creative Dreams Link Party. I don't watch that show, but it looks like you had a lot of fun. I'm watching Big Brother Canada right now! This is so cool! You are? I wish I could, too, but I'm working on an assignment for an AQ course I'm working on. Deadline is midnight! I love BB and wow, that's a cool visit you did! Looks pretty cool and fun. I miss watching BB Canada. I'm so glad Sarah won!